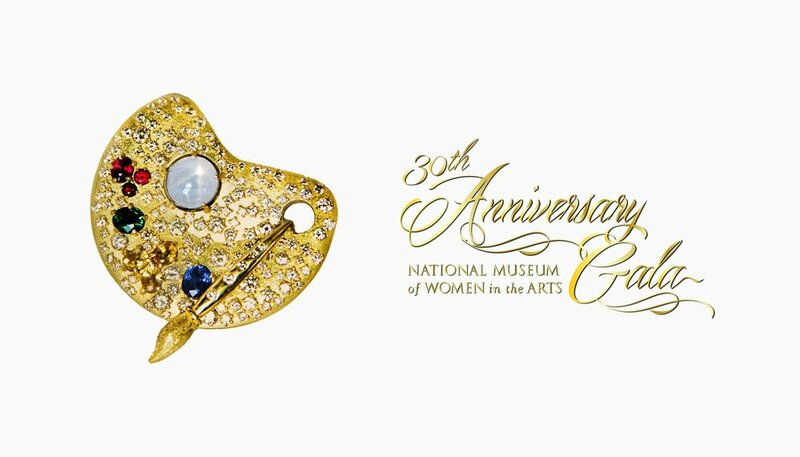 Katherine LeGrand Custom Goldsmith is excited to join the National Museum of Women in the Arts on April 21st in Washington D.C. for a special night as they kick off their 30th-anniversary year with an extraordinary black-tie gala and silent auction! The evening celebrates the important milestone birthday as well as the museum’s extraordinary collection and inspiring founder. Katherine is honored to have been invited to display at the silent auction, and is one of only two fine jewelers to do so! Beyond showing some of her most unique designs during the silent auction, Katherine is designing one of her exquisite #1OF1 creations to commemorate the museum's 30th Anniversary. See all of the amazing pieces up for auction listed below. These special pieces will be available for purchase; and for those attending the Gala, the auction starting bid prices are also listed. Proceeds from the Gala and Silent Auction benefit the museum’s exhibitions and programming, allowing the NMWA to champion women artists of past, present, and future from around the globe. Tickets are required to attend the Gala. Visit nmwa.org to get tickets and for more information about the NMWA's 30th Anniversary Gala. For questions or further information, including ticket pricing, please call 202-266-2825 or email gkaufman@nmwa.org. You may contact Katherine at info@katherinelegrand.com for private viewing appointments while she is in Washington D.C. between Thursday, April 20th and Monday, April 24th. All Katherine LeGrand Custom Goldsmith pieces that will be available at the Gala Silent Auction (listed below) will be available for purchace directly through the National Museum of Women in the Arts. Please contact: TBD at ###-###-#### if interested. #1OF1 Large Art Palette Brooch in 18 karat yellow gold with 3.12ctw of diamonds, 6.41ct white star sapphire, 0.76ct blue sapphire, 0.48ctw of rubies, 0.56ct tsavorite, and 1.12ctw of yellow gold. Commemorative engraving on palette back. #1OF20 Commemorative Petite Art Palette Brooch in 18 karat yellow gold with 0.27ctw of diamonds. Commemorative engraving on palette back. Arabian Nights Dream Catcher charms and hoops with removable sapphire (4.14ctw) and diamond (2.48ctw) and an 18 karat gold drop with diamond (0.64ctw) and 18 karat yellow gold hoop. Double Arabian Nights Ring with Sapphire (0.84ctw), diamond (1.44ctw) and an 18 karat white gold band. 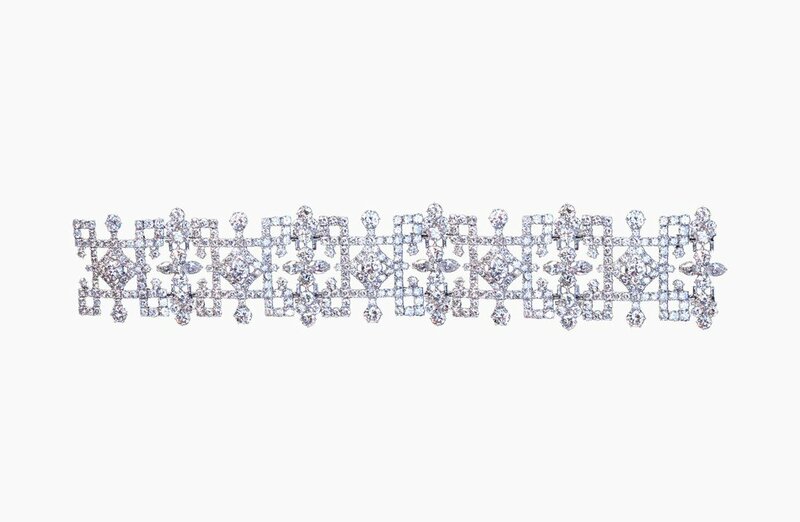 Aria Bracelet in Platinum with Old European cut diamonds (31.77ctw). Aria Diamond Dangle Earrings with Aria Convertible diamond (3.38ctw) studs and drops in 18 karat white gold. Diamond Lace Ruby Ring with Burmese Ruby (2.03ct), diamond (1.94ctw) and platinum ring. Haute Bijou Tanzanite Pendant in tanzanite (13.72ct) and diamond (1.10ctw) with 18 karat white gold. Haute Bijou Diamond Stud earrings with diamond (1.67ctw) and 18 karat white gold studs. 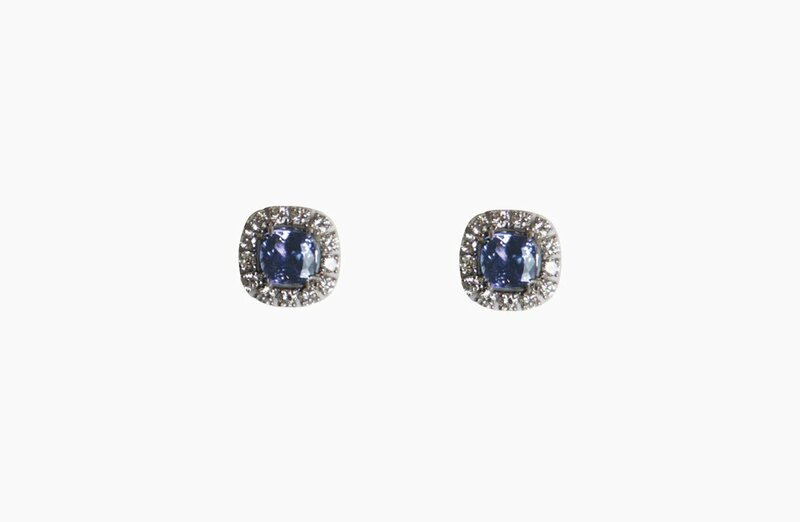 Tanzanite Diamond Stud Earrings in tanzanite (2.26ctw), diamond (1.15ctw) and 18 karat white gold earrings. Classic Tzavorite Stud earrings in tsavorite (1.04ctw) and diamond (0.80ctw) with 18 karat white gold studs. Edwardian Scalloped Edge Riviera Necklace with diamond (9.71ctw) in 18 karat white gold. Edwardian Scalloped Edge Drop Earrings in tanzanite (3.31ctw) and diamond (1.87ctw) with scalloped edge drops in 18 karat white gold. Edwardian Scalloped Edge Drop Earrings in Colombian Emerald (4.01ctw) and diamonds (2.03ctw) with scalloped edge drops in 18 karat white gold. 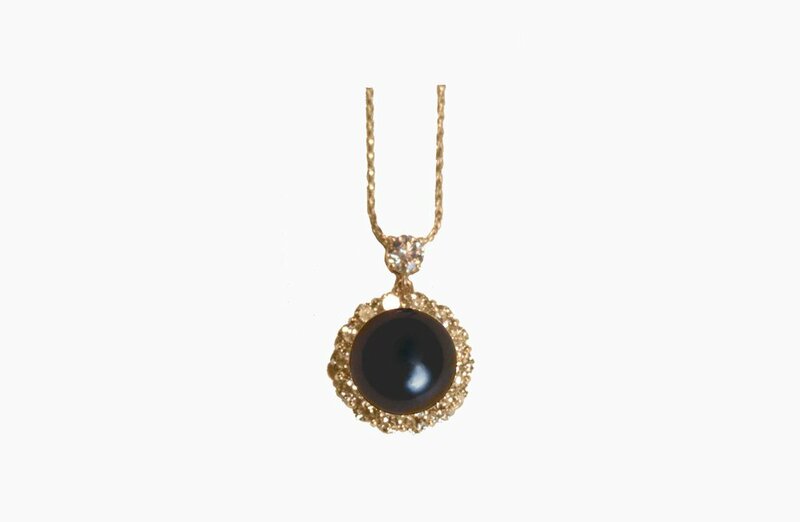 Edwardian Scalloped Edge Pendant and Chain with Tahitian Black Pearl (12.0 mm), diamond (1.19ctw) and 18 karat yellow gold pendant on 14 karat yellow gold chain. Edwardian Scalloped Edge Opal and Diamond Pendant with Australian Opal (3.73ct) and diamond (2.31ctw) as the pendant with an 18 karat white gold chain. Constantine Dangle Earrings with Constantine diamond (3.14ctw) and 18 karat white gold stiletto earrings. River Collection Freeform Ring with Australian Opal (3.86ct), diamond (0.15ctw) and 18 karat yellow gold band. Soleil Large Gold Pendant wutg Australian Opal (9.45ct), Spessarite Green Garnet (2.05ctw) and 22 karat gold pendant on a 14 karat gold chain. Oasis Briolette Drop Earrings in 18 karat gold citrine biolletes with fine diamonds (1.02 ctw). Kali Large Dangle Earrings in Black with black diamonds (3.65ctw) and white diamonds (1.42ctw) with Arabian Night drops in 18 karat white gold. Kali Large Drop Earrings in orange citrine (43.30ctw), cognac zircon (8.18ctw), and diamond (0.37ctw) with drops in 18 karat white gold. Diamond Lace Medium Emerald Ring with diamonds (center diamond=0.54ct and melee diamond=0.39ctw), emeralds and 18 karat white gold diamond band. Diamond Lace Large Ring with diamonds (center diamond =0.48ct and melee diamond=1.43 ctw) and 18 karat white gold brand. Fancy Free Drop Earrings in Yellow with yellow diamond (0.36ctw), white diamond (0.38ctw) and Afgan Lapis drop earrings in 18 karat yellow gold.